This collection of four major works displays Dickens at the height of his writing skills.Oliver Twist,1838, is a novel of social protest set in London's Victorian underworld. A Tale of Two Cities, 1859, is Dickens's great novel of the French Revolution. 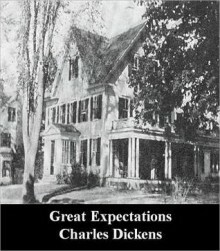 Great Expectations, 1861, is both comic and tragic, filled with memories of childhood fairytales with a twist. Also includes everyone's favorite holiday classic -- A Christmas Carol, 1843.